At Summit Healthcare, integrating with third party ancillary systems is what we do best. Since 1999 we have been developing products and services with the focus of connecting your health information system with third party vendors or all types. From integrating pharmacy dispensing machines, to PACS systems, to insurance verification vendors, Summit Healthcare’s cutting-edge technology platforms will help you find the perfect custom fit for your unique integration problems. We work side-by-side as a trusted ally with your healthcare IT team using our extensive experience to find unique solutions to eliminate point to point interfaces and leverage your interface investments, and we help you find an immediate and lasting return on your investment. Summit Healthcare has developed several products to assist our customers in aligning and integrating their many ancillary systems. Our product suite is designed to ensure that all of your ancillary systems can be controlled, managed and automated under one roof. 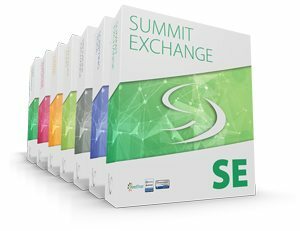 Check out the robust features of our powerful interface engine, Summit Exchange. This easy to use KLAS ranked technology, will streamline all of your connections to third party ancillary systems, eliminating point to point connections and allowing your IT team to manage all of your interface activity from a centralized Summit Dashboard. This cutting-edge technology is offered complete with the robust healthcare scripting power of the Summit Scripting Toolkit, an advanced workflow automation software which can help automate any new integrations and existing processes. The Summit Healthcare team brings a personalized approach to your organization and will work with your IT team to ensure that your healthcare organization is properly prepared to manage any type of integration scenario. You can lean on our many years of experience in healthcare software integration to solve the problems you currently face in the most cost effective manner.